PPBU is offered to tertiary level education from Skills Certificate, Diploma, Bachelor’s Degree, Professional, Master’s Degree, and Doctorate (PH.D) to deserving Malaysian. Its aim is to aid the social and economic development of Malaysians by enabling bright but needy students to receive undergraduate education at local Public OR Private Higher Learning Institutions and Training Institutes in the country on a full-time basis. * Is open to the poor and underprivileged Malaysians regardless of race, religion & ethnicity. * Qualified to a FULL-TIME STUDY at local Public OR Private Higher Education Institutions and Training Institute recognized by the Government of Malaysia. * Only fields of studies which are recognized by the Public Services Department (JPA) / Malaysian Qualifications Agency (MQA) / Malaysian Vocational Training Council (NVTC) / Government Agencies (Malaysia) concerned and acknowledged by the Board of Trustees of YBR. *Open to all fields of study. except for Medical and Aviation (License) courses. * Doctorate PHD, Masters Degree, Professional Studies, Bachelor Degree and Diploma in all fields of study. * Malaysian Skills Certificate (SKM) recognized by National Vocational Training Council (NVTC) and other Skills Certificate is recognized by the related Malaysian Government Agencies. * Qualified to a FULL-TIME STUDY mode only. 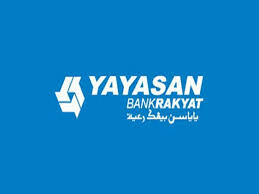 * Applicants must have a savings account with Bank Rakyat with a minimum of RM100 account balance before apply. * NOT less than 18 years old during application and accepting the study offer. * NOT exceeding 30 years old upon graduation. * Confirmation of admission from the public OR private University OR Training Centre. * Should at least passed in their SPM (with 2 Credits and Bahasa Malaysia subject). * Duration of study Level 1 to Level 3 (Depends on institutions). * Total Funding : Maximum of RM30,000 for 2 years [RM400/Monthly+Fee]. * Should at least have attained OR currently holding level 2 OR – other Skill Certificate need at least a passed in their SPM (with 2 Credits and Bahasa Malaysia subject) OR applicant must obtained Skill Certificate with a minimum of CGPA 2.75 and above. * Duration of study 3 years. * Total Funding : Up to RM30,000 for 3 years [RM400/Monthly+Fee]. * Applicant must have SPM (Sijil Pelajaran Malaysia) qualification with a minimum grade of 5A. * Duration of study 3 years / 6 Semester. * Total Funding : Maximum of RM7, 500 anually (UiTM & Politeknik only RM5, 000) [Fee+Allowance]. * Applicant must hold a Diploma with a minimum CGPA of 3.0 or Matriculation with a minimum CGPA of 3.0 or Sijil Tinggi Pelajaran Malaysia (STPM) with a minimum CGPA of 3.0 or Sijil Tinggi Agama Malaysia (STAM) with a Jayyid Jiddan or Mumtaz qualification that is equivalent to STPM. * Duration of study 4 years / 8 Semester. * Total Funding : Maximum of RM9, 500 annually (UiTM & Politeknik only RM6, 500) [Fee+Allowance]. * Applicants must hold a Diploma OR Degree with CGPA 3.0 and above. * Duration of study 2 Years / 4 Semester. * Total Funding : Up to RM28,500 for 2 years [Fee+Allowance]. * NOT exceeding 45 years upon graduation for Masters Degree. * Applicant must hold a Bachelor’s Degree with CGPA of 3.00 and above. * Total Funding : Maximum of RM 12, 000 anually [Fee + Allowance]. * NOT exceeding 50 years upon graduation for Doctorate & PHD. * Applicants must hold a Masters Degree qualification with CGPA of 3.00 and above. * Total Funding : Up to RM55,800 3 years [RM800/Monthly+Fee]. (PPBU) / Scholarship will be fully withdrawn and students shall be required to make full repayment of PPBU / Scholarship which they have received during the period of their study. If a student fails to pursue their study YBR will automatically terminate all disbursement. Students shall be required to make full repayment of the entire amount of the sponsorship which was disbursed during their study period as stipulated in the agreement.